What makes a great picture book? Let’s find out together! Picture Book Surgery is a workshop/book club where all participants learn from each other. We get together to dissect our favorite picture books, and to discover new ones. This is the perfect event for author/illustrators looking forward to meet some colleagues, discover new books, and learn more about the craft. Authors interested in illustration, and illustrators interested in writing are also welcome. Our meetings are fun, informative and highly interactive. Also, they are free! – We do welcome donations to help with supplies and preparation for the events. Charlotte Cheng & Diana Toledano are the two Bay Area illustrators behind this event. 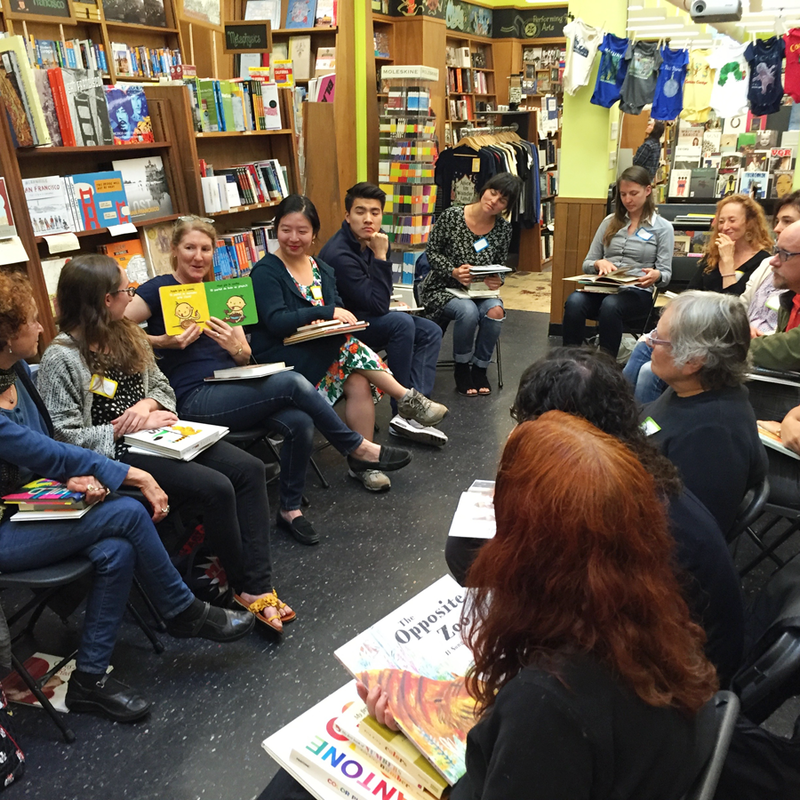 They are members of the Society of Children's Book Writers and Illustrators (SCBWI), and in their free time they organize Kid Lit events in San Francisco. Sometimes we bring a special guest! Past guests include author Katrina Goldsaito and agent Jennifer March Soloway (from Andrea Brown Literary Agency). Learn something new each time you come! We dissect picture books focusing on a different angle every time. The Booksmith – An independent bookstore with a fantastic children’s book collection. In the Haight, San Francisco. We meet once every few months. Check our Eventbrite page to find out if a new meeting has been scheduled or contact us at picturebooksurgery@gmail.com for more information about upcoming events.